WATCH: Chrissy Teigen admits that after Luna was born she was "drinking too much"
Chrissy Teigen shares how she went from struggling to cope after Luna was born, and drinking excessively as a result, to realising it’s much more important to take care of yourself and your mental health. In a recent interview with Women’s Health, Chrissy Teigen admitted that while she was struggling with postnatal depression (PND), she would often find herself drinking. And while we’re sure she wasn’t going on a bender every weekend, we completely get how indulging in a glass of wine or two, after finally getting the kids to turn in, can quickly become the norm. So also came the realisation that, while she started as a swimsuit model, landing the cover of Sports Illustrated in 2014, her priorities, and naturally, her body, had changed after having Luna and Miles. “Two kids in, you can’t eat the way you used to. “Since I was 20 years old, I had this weight in mind that I am, or that I’m supposed to be. I’ve been so used to that number for 10 years now. "And then I started realising it was a swimsuit-model weight. There’s a very big difference between wanting to be that kind of fit and wanting to be happy-fit." 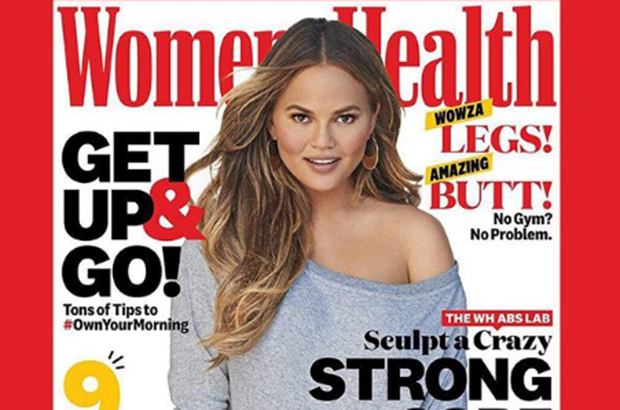 So she told Women's Health, in that classic, confident Chrissy Teigen way, “Honestly, I don’t have to be in a swimsuit again,” as she appeared on their October 2018 cover in a grey-blue sweatshirt looking beautiful, happy, and healthy. Did you similarly find yourself drinking a lot more after you had kids? Tell us by emailing chatback@parent24.com and we may publish your comments. Do let us know if you'd like to remain anonymous.